Always had something of a fetish for baskets – they’re just strangely pleasing to see and I get a thrill from some of the more odd shapes, especially pack panniers. They’re also a great, attractive eco-alternative to plastics for storage of all kinds of things, that you can make yourself – kiddies toys, eggs, laundry, your sock-balls etc. I am actively trying to rid my home of plastic, so it was high time I went and learnt this skill. After having put it off for years, imagining it to be a difficult skill to master which would take many hours, I was pleasantly surprised by how quick and easy it is to get passable results within a handful of hours. Of course, you can take it as far as you want and apply creativity, let baskets take over your life in the quest for more and more elaborate colours and designs…or you can just make workaday baskets to hold stuff. Our ancestors weren’t daft in the pre-oil age; baskets are made from common things which grow quickly and in abundance, such as willow and brambles, so even if your baskets wear out quickly it really is just a case of going for a walk, identifying whips that suit your purpose and snipping them off to take home. They only need to be stored dipped in a pond or some other wet place like a dustbin perhaps, and the tools are extremely simple so as craft hobbies go, it’s actually one of the more low maintenance, space-saving ones imo! I went for my course at Wild Harvest which is local to me near York. The course was extremely cheap (£45ish) and teaches you everything you need to know to complete a simple basket in one day, with all materials and hot drinks provided. You also get to hear the amazing story of the owner Di Wood, who raised her children by herself off-grid in the woods, and that’s just the start of her adventures! There was a meme going round recently (probably still is) which talked about feeling your ancestors knitting along with you as you do. Your sitting and stitching is the wonderful continuation of millennia of tradition, of people doing and making for themselves rather than sitting, maws open, waiting for the capitalism to feed them. Sorry I might have got carried away there because I feel passionately about not being robbed of our ability to look after ourselves, so we remain free, which is part of the ethos of Wild harvest itself – ‘self reliance’ – but my point was that I particularly enjoyed the tradition of it. I’ve spoken before about my love of collecting evocative words which have slipped out of use, and basketry has been a rich seam to mine, with ‘Randing’, ‘Fitching’, ‘Slewing’, ‘Slyping’ and ‘Slath’ to add to my collection! Originally published December 13th, 2016 – since the time of writing our farm went out of sheep and I split with my husband, but I still retain a nucleus of ram-breeding ewes and a team of good tups, just in case…. Kerry Hills. If you’re aware of them at all, it’s probably because they won your local sheep show with their flashy posing and unique, panda-like markings. Before I moved in with my husband, who had been keeping Kerrys since 2002, I hadn’t really ever registered their presence either. I met them with a completely open mind as a result and I’ve slowly got to know and love them and now hold complete responsibility for our flock. 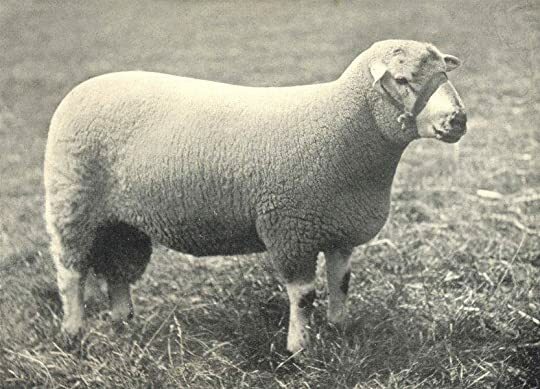 Quite unusually for a British sheep breed, and frustratingly for sheepgeeks like me, details of their history are hard to come by. Most other breeds seem to be far better recorded and represented in the history books. I constantly scour shepherding books, old and new, and most do not make a mention of Kerrys at all. My theory on this is that the Kerry as we know it is actually a very modern invention; the style of sheep we have today seems only to have emerged within the last 50years, but it does have ancient roots. Looking at the Kerry of 100years ago we see a heavy, white docile-looking animal much like a white Shropshire! 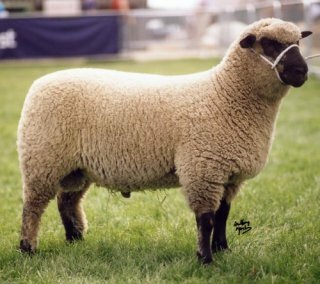 Shropshires were created from the Southdown, by crossing with a ‘sheep from the Welsh border’. 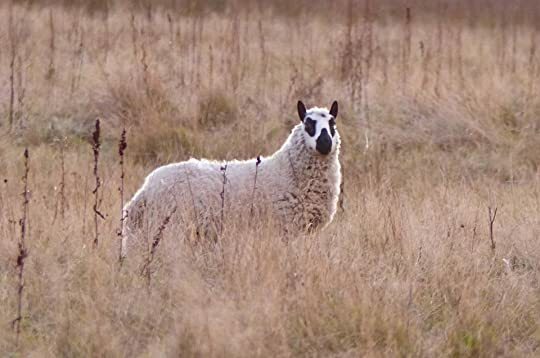 Highly likely to be a part of this unknown sheep is the ancestor of the Ryeland from the Hereford area around the corner from Kerry Hill, which in the medieval era had wool known as ‘Lemster Ore’ – highly valued for its fineness above almost all others. 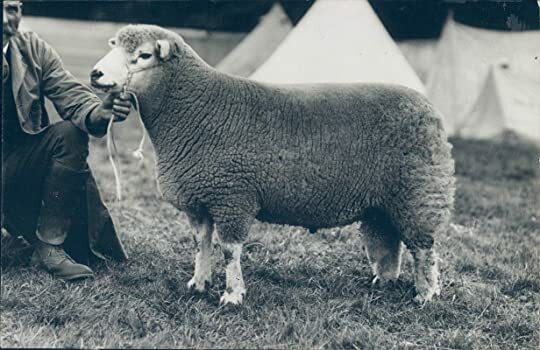 In the area 70 years prior to the heyday of the Shropshire, according to John Gorton in 1833, was a breed known as the ‘Cerri’, which gave fine wool free of kemp fibres…sound familiar? Kerrys are a world away from a docile Ryeland or Shropshire; catch me at penning or clipping time and every other word is likely to be a curse word as I try to impose my will or get the wool off a wriggling Kerry without nicking their bizarrely thin skin!? When we bought ordinary sheep hurdles in the early days they promptly bust them down and as a result we’ve had to buy specially made reinforced ones a full foot higher. We even went up to 5ft high alpaca hurdles for a particular group of gimmer hoggs and they still got over and away! Is that the spirit of the Morfe Common heathsheep, fighting its way out after all these years? But, at various junctures over the last seven and a half years I’ve had the opportunity to swap them for a different breed, or get rid of them altogether, and it’s never quite happened in the end. And when I go to the twice yearly York rare breeds sale to find some more, it’s usually a Kerry which sails out of the ring and that usually makes me bid a bit harder as I know that’s a Rosewood sheep that will fit right in! I worry about them though. Over the last 15yrs I’ve seen them disappear outside the showring and I believe it’s because nowadays farming is very specialised indeed and Kerry Hills are a little ‘vague’ in what they offer apart from a pretty face. Their wool is OK, but does not compare with Merino, or Blue-Faced Leicester, or Shetland or any of those popular wool breeds. They are good mothers, but aren’t especially prolific (producing many lambs each time) and don’t have the infrastructure of other breeds which offer sales of thousands of females for farmers to pick from reliably every year. Their milk yield won’t rival a Friesland and their meat yield is perfectly adequate, but not spectacular so that ‘terminal sires’ which father butcher’s lambs like Beltexes and Suffolks have nothing to worry about. They wouldn’t survive on the mountaintops like Herdwicks or Blackfaces or Welsh Mountains, either. I like to think this vagueness gives them versatility. My area must be the only part of Britain which does not have a native breed of its own – East Yorkshire. Sheep have been kept here for eons; my husband’s earliest farming ancestor was a shepherd over the river in 1870, but no one knows which sheep he had and no one breed dominates here. That means I have a blank canvas to start with, there is a vacuum here for a breed to step in to. The unrecorded past of the Kerry and the fact they sound Irish but are Welsh but nobody knows that anyway means I’m not facing the incongruity of selling Leicester lamb in Aberdeen, and so on. The world changes; Consumer demand swings from wool to meat to milk and maybe back again, and some breeds fall foul of it if they are too specialised. The Kerry sails past all this though, doing its thing, producing a reasonable carcasse, wool and if pressed, milk (yes I’ve milked ours!). You can always give them a nudge in the right direction with a judicious cross, too. I’ve tried crosses for meat, wool and hardiness and always been pleased with the results. This is only one end of the process though – what a sheep can produce. That always has to be balanced with what you’ve got to produce it with. Kerrys are equally as flexible here. I know I could bang up a hydroponic greenhouse and my Kerrys would produce the same 40kg shapely carcasse the customer has come to expect, munching on leftover cabbages and tomatoes in a shed, as they would out on a hillside. A few years ago, we were struggling for acreage and had to make maximum use of our grass. My early farming career was preoccupied with intensification-with-sustainability and the impossible issue of land purchase. The Kerrys had to calm themselves sufficiently to stay in small paddocks and be rotated daily – they did. That was all reversed in a bizarre twist which saw the local marshes empty of stock keepers in the face of new nature-centric rules. Enter me and my Kerrys, who adapted with relish to a larger, rougher area. As a farmer, this gives me a bit of peace of mind: I’m not completely sold on specialisation. , I’m not one of those farmers who comes from a long line, with an ancestral farmhouse and owned acres. I’ve clawed my way in and need to be quick on my feet to stay in, ready to exploit any opening I spot. I’ve adapted before, and I like to think I’ll be able to adapt again more less come what may, even with my meagre resources, with my chosen breed. Thank you, Kerry Hills! This was originally written 18 March 2016. The Suffolk Punch is one of our most endangered horses, the RBST thinks we have just 10 years to save them. Already the gene pool is so diminished there are breeding problems. This is especially devastating in the light of new genetic information which points to Suffolk Punches being the closest thing we have to medieval warhorses, rather than the more usually substituted shire. Warhorses were clean-legged (no feathering), 15-16hh and predominantly chestnut. Much, much more similar to a punch than a shire, so it seems the warhorses found employment in farming when warfare moved on. In losing the Punch, we not only lose all that agricultural heritage, but also a last living remnant of the medieval warhorse – on our watch after circa 500yrs! Appalling! When I was down in Suffolk I met Graham, the latest in a line of farmers with clear memories and photographs of the transition from Suffolk Punches to tractors – I was keen to document what he had, and here it is! My ears pricked up when Graham mentioned that his great, great grandfather John had been an oxman for the Somerleyton estate when he had moved across the river to settle in Aldeby with his two brothers, Jimmy and Aaron in 1837. Sadly, any further information about John or the oxen he worked has been lost and the family memories only begin in detail with the next generation, William, John’s son. William worked on the railway as a ganger and Graham relates how he would cut the grass growing on the sides of the tracks for hay for the horses – nothing was wasted. William’s son who was also a William must have been ill-at-ease with his father’s change of direction away from their farming roots as he left school at 14, determined to be a farmer. It seems to have been a familiarly difficult ambition for him, as he took work as a rook scarer, a postman and a coalman with two waggons and horses to fund some rented marshes and cattle. Finally, in 1912 he took on a full tenancy on Blocka Farm and had his 90acres. He married a lady named Jessie who promptly added dairy to the enterprise, handmilking the cows and making butter before taking it to market via horse and cart (picture below); a 22mile trip, each way. The horse pictured is called Dolly and her breed isn’t known but it’s likely she had a good dose of Hackney blood given the period and location in question, Yorkshire and Norfolk being the heartlands of the breed and their purpose being a fast roadhorse. As a firm Hackney fan the previously unpublished picture from the ’20s which Graham showed me is the stuff of dreams! At this time the farm worked what Graham says were known as ‘Shirbreds’ – shire horses, though they were blended with Clydesdales. Back then, pedigree was less important than it is for the showring thesedays, the important bit was how well the horse worked. The picture below show Beauty, Prince and Blossom at work. Strangely, they were not Suffolk Punches, the local breed of the area. It’s unknown why this was the case, but by the 30s the farm had switched to Suffolks and was using Lord Somerleyton’s Suffolk stallion. Graham told me a few tales of the more memorable events of his grandfather’s life breaking and working heavy horses. The best was possibly the mare who would not go forwards. In the training process she quickly figured out what was wanted and decided to avoid work by going backwards instead. A heavy horse’s backside moving towards you is hard to combat without use of the whip but William was not the type to use one; instead he stood her in front of a haystack and asked her to go forwards. The stubborn mare insisted on going backwards, and Graham says she heaved and kicked for a full hour, until the ground under her feet was churned into mud and she had exhausted herself with her efforts. Finally, she gave up and walked forwards, found it easy in comparison and was never a bother again! The horses were traditionally turned onto the marshes between ‘haysel’ (haymaking time) and harvest to eat the aftermath of the haymaking and presumably build themselves up for the heavy work of harvest – pulling the binder was the hardest job and would have to be done in 3hr stints only before switching the horses. Mares would work whilst in foal, almost up to their time, and when the foal was born it would run alongside its mother as she worked. I know from experience that oxen learn a lot through example and mimicry, so this is probably an ideal start for a working horse! The horses were often not too keen on returning to work after their holiday and William had another problem to fix when one mare figured out that putting her hefty leg over the trace and refusing to budge meant the men having to undo everything and set it right before they could start, whereupon she would simply move her leg again and delay everything further. Many would have been tempted to take a whip to the animal perhaps, but William decided to give the mare a taste of her own medicine – if she was going to keep him waiting and from his work, he would do the same! He walked her front feet to the top of a bank, tied her head high up to a branch and sat down for lunch, leaving her stood still. When he returned, she was suddenly keen to be on the move and never tried her trick again! Time marched on and William’s son was keen to move on to tractors. William Snr refused point blank to have anything to do with them however, and the farm continued to work horses throughout the war years. No horses were lost to the front in the First World War, only a stack of hay – one of 800tonnes required every week to feed the horses on the front! During the Second World War William was caught out by a ‘nuisance raid’ while ploughing. He managed to unhitch the horses upon hearing the warning siren and by the time the two planes burst over the treeline, firing bullets randomly, he had run and hidden them behind a haystack and had the presence of mind to walk them around it as the planes passed so that they would not see the planes and take fright. His neighbour meanwhile had jumped from his tractor and into a ditch for shelter, leaving the tractor in gear, trundling away by itself! Another wartime adaptation was having to make stacks with the grain crops rather than filling a stackyard back at the farm, near the giant new threshing machines, to avoid the risk of fire when incendiary bombs were dropped. It was quickly realised that the machines were too heavy to be moved nearer the stacks and would damage the ground too much in the process, but Grandad William was confident his horses could do the job, so he took it apart a little and hooked up ‘Smiler’ (pictured). Smiler had very broad feet and was an extremely strong horse; he carefully and successfully pulled the machine across the fields to the stack. Smiler was previously known as an almost useless horse, an ‘Old Stomper’. He not only had enormous feet but he banged them carelessly up and down as he walked, damaging many plants in the process if he worked any crops. In contrast, Graham says the other horses moved their feet carefully and neatly which was ideal. The last foal born on the farm was ‘Smart’ (pictured with family below) in 1938, out of Blossom and by Lord Somerleyton’s stallion. She was clearly a well loved member of the family. Graham says she was so good natured she never actually required any formal kind of ‘breaking in’, she naturally took to work. Unfortunately Grandad William died in 1952, still steadfastly refusing the drive the tractors. 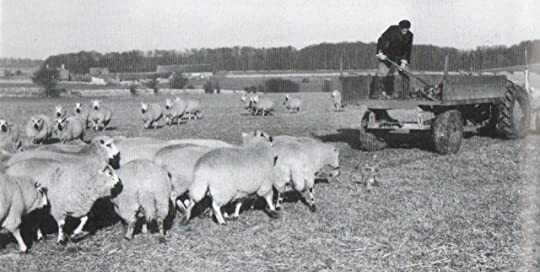 His son William was pleased with the switch to tractors as he regained a third of his land which had previously been dedicated solely to maintaining the horses. The horses were allowed to live out their lives on the farm however but eventually only Smart was left. She befriended a goose in those solitary days and they went out on the marshes together to graze, the goose bedding down on the muckheap outside her stable when they returned together at night. The goose laid her eggs on that muckheap but never needed to sit them, they hatched from the heat of the muck! I decided to move blog-house, the old place had a terrible format and I waited years for the site owners to update things but it never happened. I found myself not wanting to write the huge backlog of stuff I’ve cooked up, because I knew the posts weren’t going to look any good online – you need a readable font, and sensibly placed pictures at least, right? I put off moving because I didn’t want to lose existing material, but it was pointed out to me that wanting to write the blog and people wanting to read the blog are two basic blogging concepts so I would just have to bite the bullet and copy the material over! So, that’s what I’m doing. This is my new Anthrozoology blog, therefore. Anthrozoology is the study of how humans and animals interact, and I’ve been doing that since I was in a pram (I cried when my grandma shoo’d a bumble bee away from me). I’m fully aware it’s a niche thing, but give it a chance if you have any interest in animals at all! My specialism is the hoofed animals, particularly the domesticated ones. Cattle, sheep, goats and deer are all very much my bag, but I do stray into other species from time to time and have a great fondness for birds. I also think we could do with a much fairer system, globally. I sit here in rural poverty in England while poor slaves pick nuts and fruit in misery for us on the other side of the planet – who is this system working for? Not either of us, clearly. So, I try to grow and make my own things and if I can’t, buy from real people based here in Britain, making things from stuff produced here in Britain. That means a whole lot of crafty content like knitting, sewing, cooking, foraging, preserving, butchery, tanning, weaving and so on. If reading about this appeals to you – welcome, and thank you!